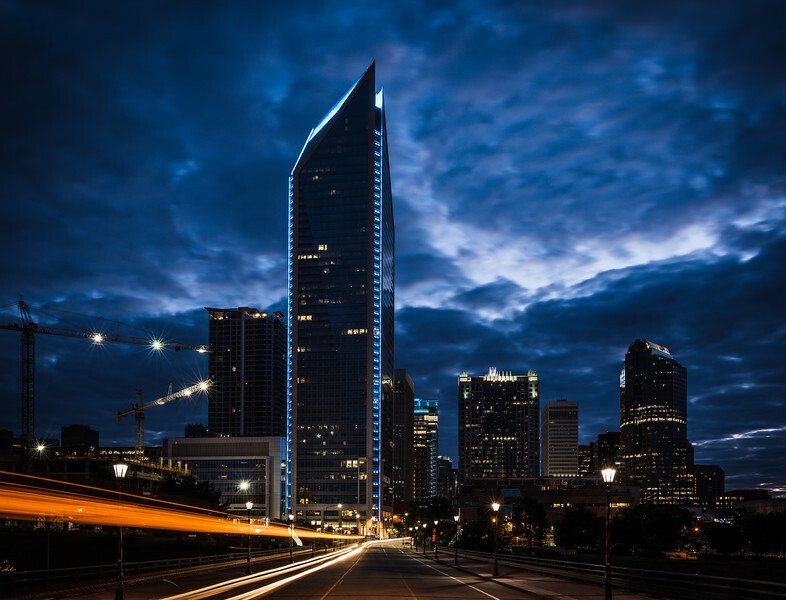 Along Tryon Street in Uptown Charlotte sits an event space called the Foundation for the Carolinas. It's an attractive building, but easy to miss when walking by on the sidewalk. However, it's very much worth checking out – and it's free. On the first floor is a remarkable collection of artwork that belongs to the Sonia and Isaac Luski collection. In my opinion, the most impressive of this body of work are the many pieces of cut glass. For those of you familiar with the more common blown and molded glass like the work of the Chihuly Studio, this is entirely different. 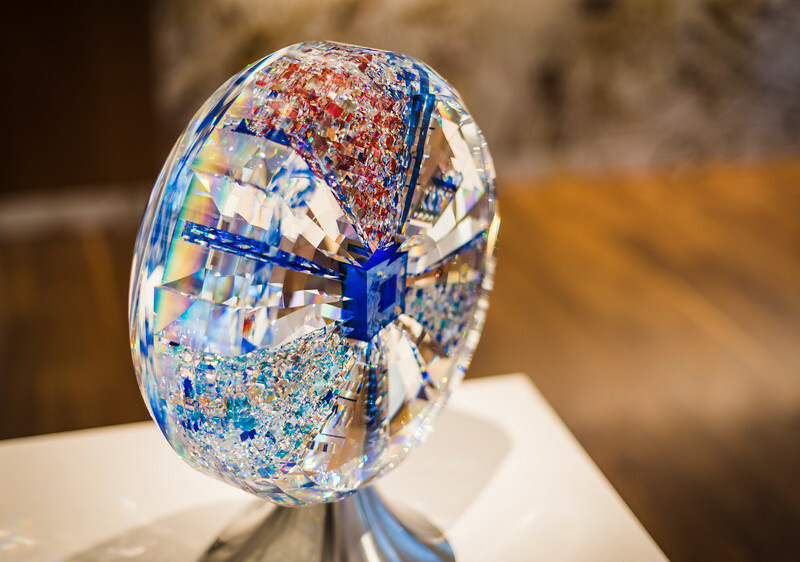 It's primarily cold, cut glass that is then assembled into some truly amazing pieces of sculpture. My favorite of this work is by a North Carolinian artist by the name of John Kunh. The piece in the photo above is one of his works. More can be seen at kuhnstudio.com. My father-in-law drove a pickup truck for most of his life. He was a blue collar farmer who ran a concrete company. His truck got him from place to place and hauled equipment and material where it needed to go. Nothing more. It was transportation at its most basic. This 2017 RAM 1500 offers far more function than he could have imagined, and it does so with the interior of a luxury car. It features all of the modern amenities and conveniences we've come to expect, many of which didn't exist "back in the day." And it looks pretty cool as well. I've lived in North Carolina for over seven years, and I've only been to Myrtle Beach three times. And each of those visits has been in the winter for several reasons: the beachfront hotels offer huge discounts, there are no crowds at the beach, and there's no traffic. Typically, the weather hits highs in the 40s or 50s, which is fine by me (as a former Midwesterner). Walks along the beach are quiet, as I typically pass another person every few hundred yards. The sunrise is still beautiful, the sand still looks the same and the tide rolls in as usual. 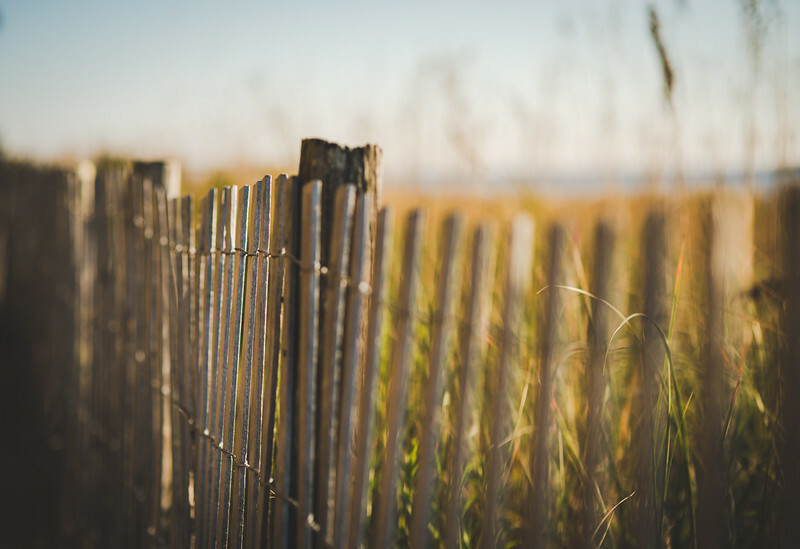 For this shot, I simply loved the erosion-prevention fence and sea oats. On the campus of UNCC, there has been a building boom. The school has grown by leaps and bounds over the last few years, but the administration has done a wonderful job with the architectural continuity. The school has also incorporated sculpture in various areas to expose students, families and visitors to artwork in these public spaces. Although the campus is quite large, a walk through it is most rewarding. My wife and I took a final hiking trip in the late fall to see if we would be able to catch some of the autumn foliage still on the trees. We were thrilled to find the leaves just past peak color for most of the trip. 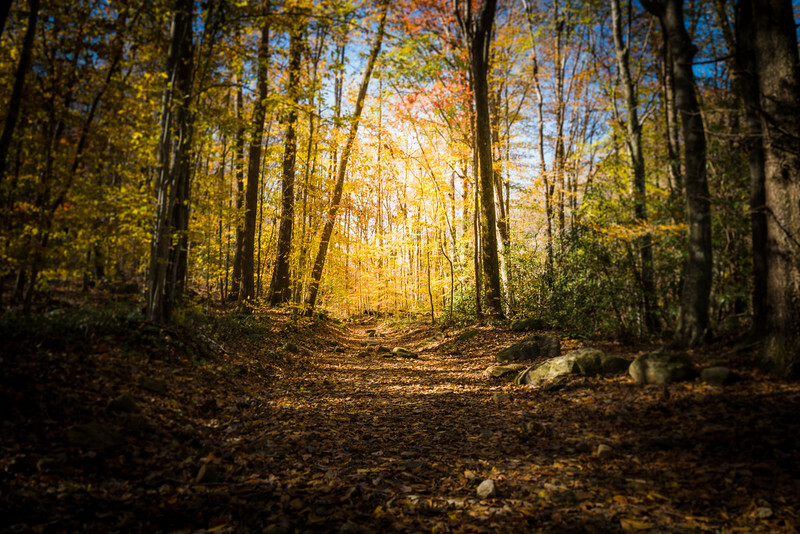 This wonderful trail was at Jones Gap State Park in South Carolina. The late afternoon sun shone into the trail ahead of us and made for an idyllic scene. The waterfall at the end of the trail was great as well, but this scene reminded me why I love being out in nature. 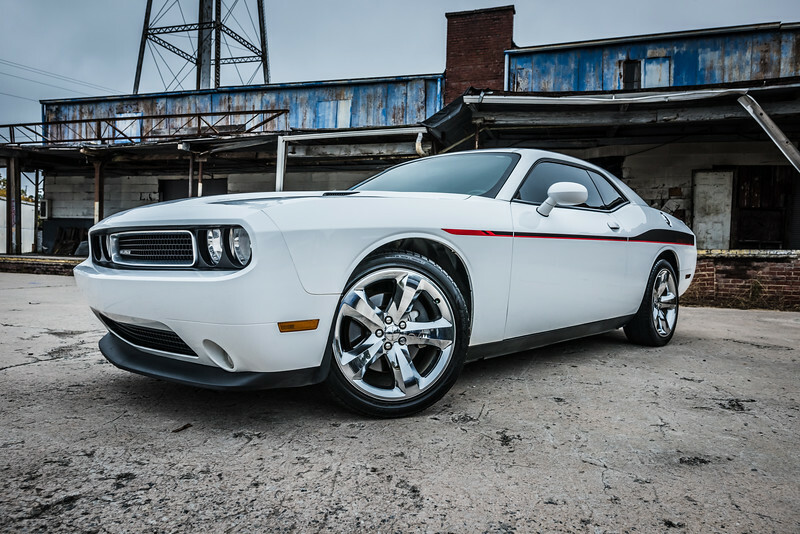 The 1960s may have been the original era of the muscle car, but the 2010s have represented its resurgence. From the Chevy Camaro to the Ford Mustang to the Dodge Challenger, these modern incarnations outperform their predecessors in every respect. While some prefer the styling of the originals, I think the current iterations do a wonderful job of maintaining visual lineage while also redefining their respective brands. It's a great time to be a car enthusiast. 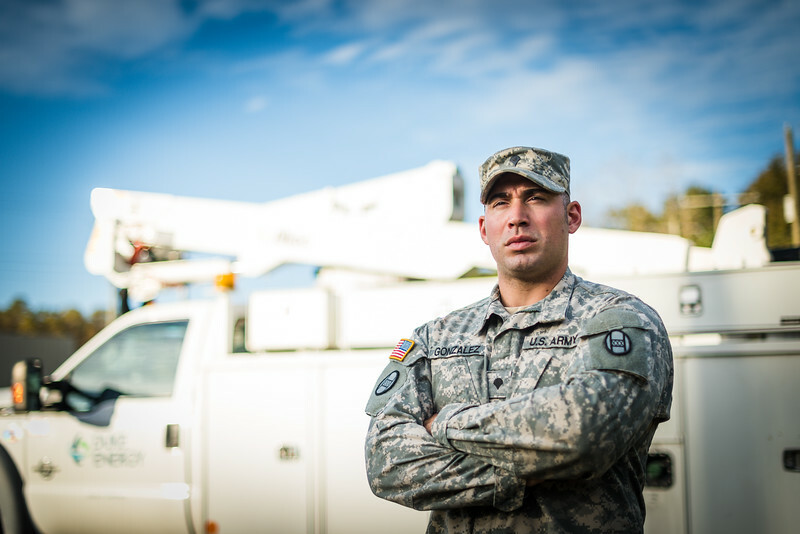 As part of a Veterans Day feature story, I had the honor to capture images of this former Army Infantryman and current North Carolina National Guardsman, who entered the private sector as electric line technician. Like most Americans, I have tremendous respect for those who serve or have served in our military. Their sacrifices have enabled us to enjoy the freedoms we often take for granted. It was a pleasure to speak with this young man and bring his story to light. Shots of executives are always more difficult than they would first appear. These folks are typically very busy, with minimal time in their schedules for a normal portrait session. Typically, there is a 10-20 minute window to get the executive in position, provide direction and get the shots done. To make things more complex, there is frequently the requirement to capture a variety of looks – facial expressions, backgrounds, environments, etc. – all within an abbreviated window of time. 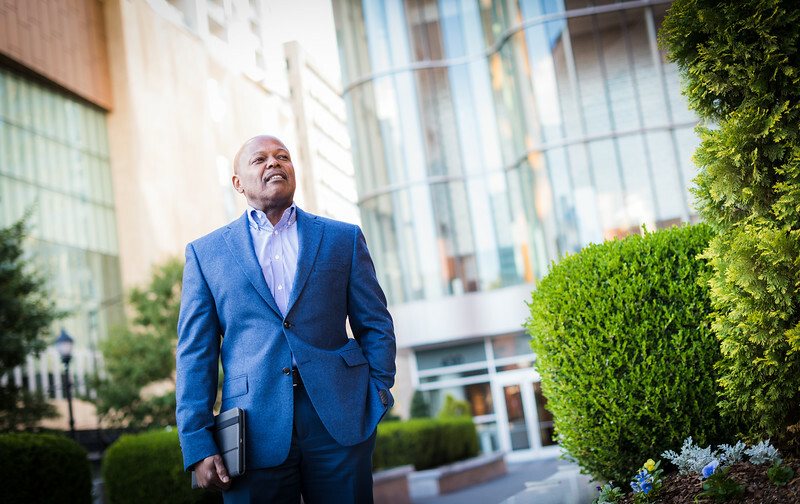 This shot was taken in uptown Charlotte in an area where we could easily move within a 100 foot radius and radically change the look of each shot. I've only tried photography of stars once before. It's difficult. 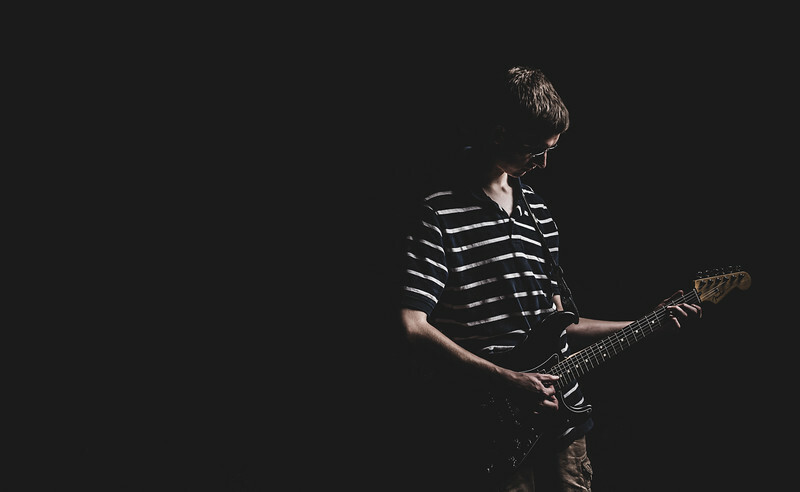 There are many photographic parameters that must be observed – wide aperture, slow shutter speed, etc. Perhaps the most critical element is shooting from a place where it's almost entirely dark and the moon is not shining. Even traveling up to the Blue Ridge Parkway, I was amazed at how much light pollution there was. This made pulling shots off more complicated than I was hoping. 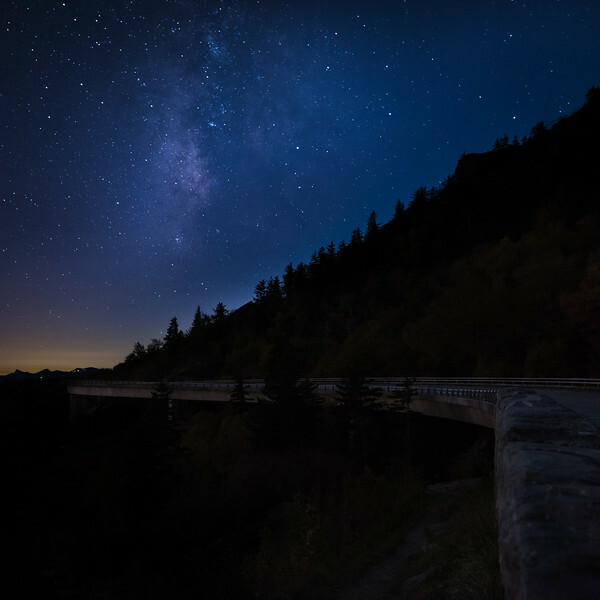 I settled on the famous Linn Cove Viaduct for the foreground of the shot with the Milky Way providing the spectacular background. Not having access to a large studio, this shot was taken outside by overpowering the sun using off-camera studio flash. Although it was light enough outside to see the background, I was able to create drama via a small aperture and powerful flash. The result is a portrait that conveys emotion and drama – far more than could be achieved using ambient daylight. Rock and roll. Since I was in high school, I've gotten up before sunrise throughout the year. The various jobs I've worked demanded early and long hours. Not until recently have I begun to truly appreciate the beauty of the daily sunrise. Granted, sometimes it's spectacular, and others it's pedestrian. On this particular day, it was pretty amazing. 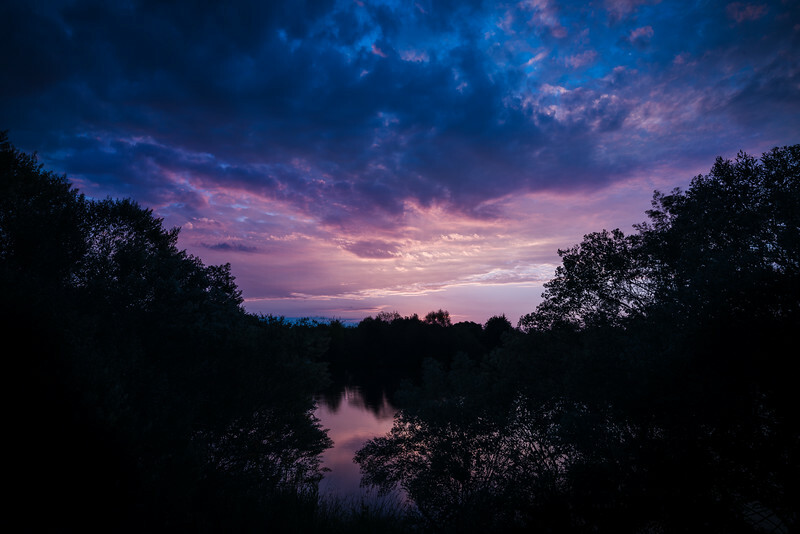 The purple color was unusual and didn't last long. Fortunately, I was already in position and ready to capture it. Trying to capture natural shots of a couple can be difficult. Finding the right location and prompting genuine interaction are key. While shots of the couple smiling and looking at camera are important and can be great, my preference is for those images that showcase their personalities and relationship. They're simply more ... genuine. Driving into Charlotte today, I noticed that dawn was beginning to break. I pulled my car over and set up my tripod to take a shot of the city. At that moment, I realized just how much it has changed in the seven years that I've lived here in North Carolina. It's grown and modernized. It's cleaner with more things to do. The Duke Energy Center (the tall building at the left of the shot) is where I worked for six of my years here. It had only been completed shortly before my family and I relocated to Charlotte. It will be interesting if I'm able to replicate this shot in another seven years to see how much the city has changed again. After historic Hurricane Irma made landfall in Florida and was making its way north, I was asked to photograph Duke Energy's coordinated efforts to get employee and contract line crews to the areas where they would be most needed, to repair critical electric infrastructure. This particular shot was taken in one of the campground areas adjacent to the Charlotte Motor Speedway, as linemen assembled their bucket trucks and other support vehicles and equipment to roll out the following morning. The logistics involved in such an undertaking are staggeringly complex. Folks like this 30+ year supervisor have seen the worst of mother nature and always come back stronger. I've had a few opportunities to visit and photograph hydroelectric plants in North and South Carolina. These quiet monoliths are tucked in remote areas, along quiet rivers, where most have been efficiently generating electricity for more than a century. While many would not call them scenic, there is a certain beauty that can be showcased under the right circumstances. 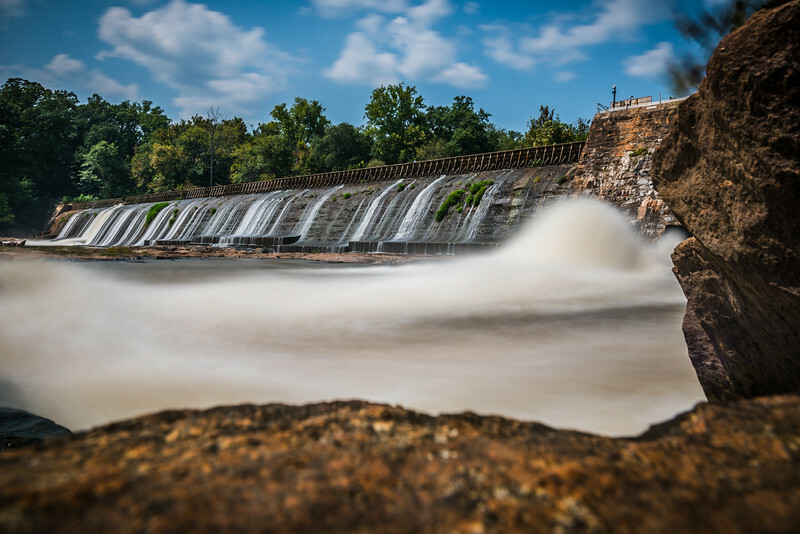 In this case, I used a long exposure to capture the movement and power of the water flow at the Gaston Shoals Hydro Station. I've been to many types of racing over the years. IMSA (International Motor Sports Association) has somehow eluded me. 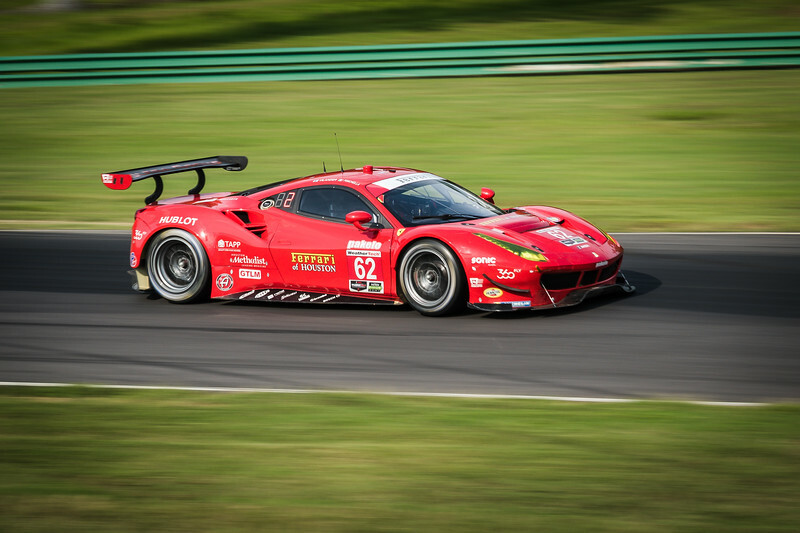 So I decided to take a drive up to the fabled Virginia International Raceway (VIR) when these cars were in town. The 3.3 mile road course is impressive with myriad turns, elevation changes and lengthy straightaways to challenge seasoned drivers. A wide variety of manufacturers were represented including Chevrolet, Ford, Mercedes, Porsche, Lexus, Ferrari and Lamborghini. All of the vehicles began life as road going cars, and have been modified under a set of specific parameters to compete against one another. While this is blasphemy in NASCAR country, I found this type of racing far more entertaining than oval track racing that involves left turns for three hours. The first time I drove by this building and those that surround it, I was unsure what college campus I had inadvertently found. While the architecture was stunning to look at, I had to do a little research to find out more about the nature of these facilities. 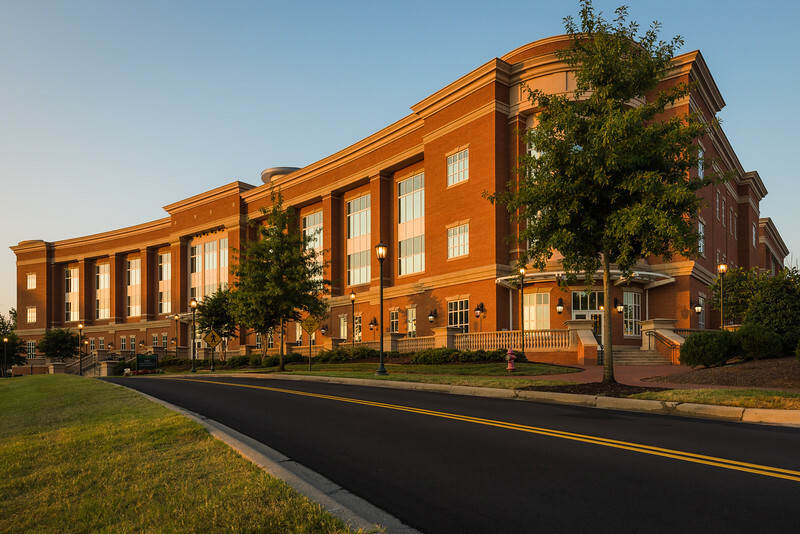 As it turns out, the The David H. Murdock Research Institute provides research technologies to academic, government and industry scientists in the pursuit of advancements in human health, nutrition and agriculture. Pretty cool stuff for Kannapolis, North Carolina. Near Linville Falls in North Carolina lies this little gem. It's the Dugger's Creek Falls area. It's a short hike that most people skip in favor of the more well known Linville Falls ones. It's a great, secluded spot that's not far from the visitor's center. Well worth the short walk. 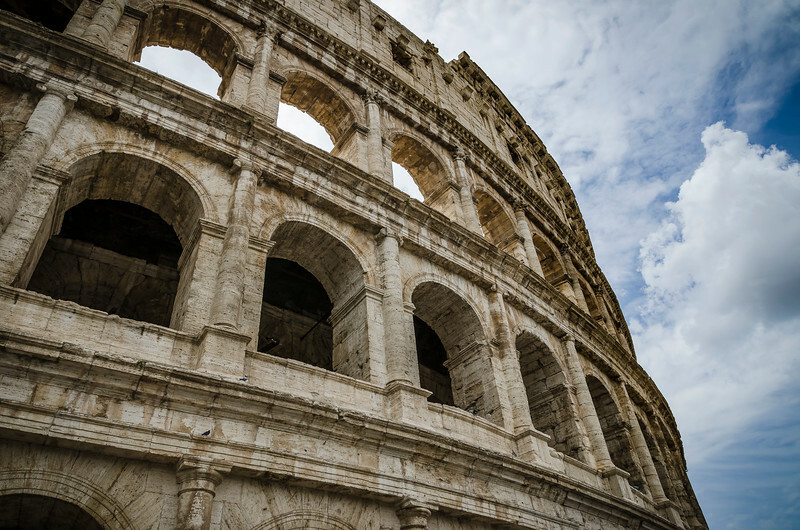 Recently, I had the good fortune to travel to Europe for a couple of weeks and visit some of the greatest cities in history. Their architecture, monuments and art did not disappoint. While the U.S. is less than 250 years old, I was able to visit structures that were nearly 2,000 years old. I'm not sure if the images I took did them justice. Everyone should make this trip once. Most people don't think about electricity until the power is out. It's a service that's taken for granted like no other. However, the hard working men and women that maintain the transmission and delivery system take their jobs very seriously. That's not just because the work is dangerous but because it's critical to our lives. These dedicated individuals view their jobs as a noble calling. I've had the good fortune to be able to photograph these folks on a few occasions, and it's always a pleasure. For those who have never been to see an air show, I highly recommend putting one on your "bucket list." I've not served in our military, and I'm not a huge aviation technology buff. However, I attended my first show about 10 years ago as it was free, and I thought my family might enjoy it. The entire event far exceeded my expectations, and I've since attended two other shows. 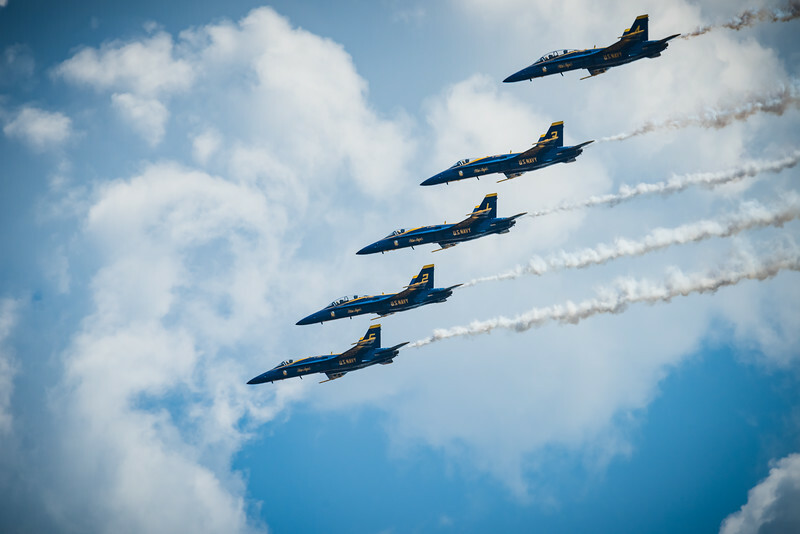 The one last weekend was headlined by the Navy's precision flying team, the Blue Angels. Quite simply, it was incredible. The skill of these pilots is impossible to describe – flying their F/A-18 Hornets sometimes mere inches apart during a series of complex maneuvers at speeds approaching the sound barrier. Drag racing is a bit of a niche motorsport in a country that loves anything with an engine. I'm fortunate enough to live near one of the capitals of auto racing – Charlotte, North Carolina. I've been to see NHRA events a few times. Each have been pretty incredible. The races last only a few seconds, and the precision required by the drivers and teams is impressive. 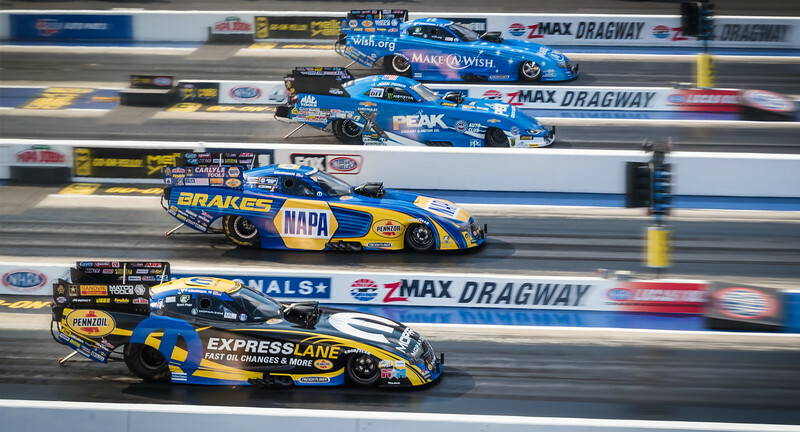 Engines are often disassembled and reassembled between races – with nitromethane funny cars and dragsters running around 7,000 horsepower. Trying to photograph vehicles that accelerate from 0-330 mph in under 4 seconds can be tricky. Sometimes, the world around us holds much more for us than it would seem at first glance. Looking at things from a different vantage point, through a different lens – in this case a macro one – makes visible details that we would otherwise miss. 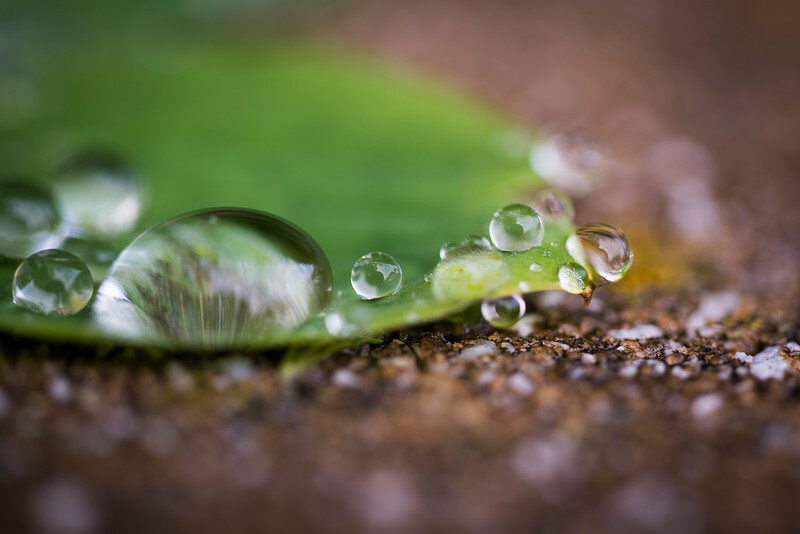 From the shape of a water droplet to the texture of the ground, nature is truly incredible. Penned by legendary Buick designer, Harley Earl, the Buick Roadmaster was indeed an American classic. 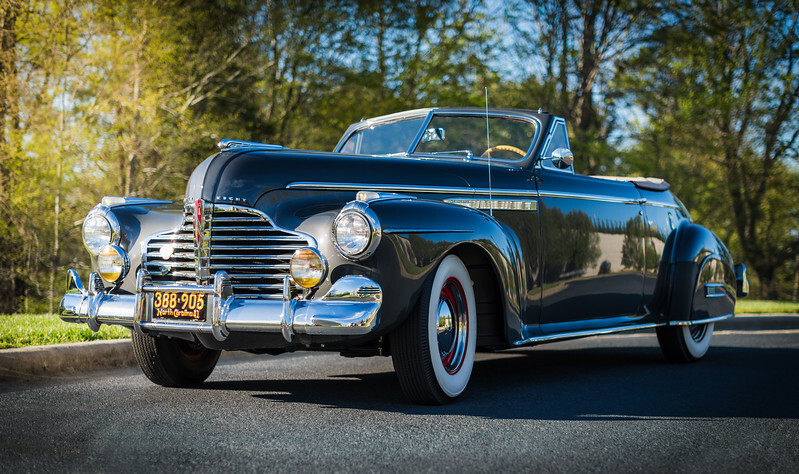 Updated for 1941, the "torpedo" body style featured two doors, versus the normal four, along with a soft-top convertible. The "Fireball" engine featured twin two-barrel carburetors, a forerunner of the more modern four-barrel carburetor. We like to think of the vehicles of this era as rolling pieces of artwork. Although by the hypercar standards of today, the engine from the Ferrari 360 Modena seems modest. At the time, it was as impressive as anything the manufacturer had ever produced. The 3.6-liter flat-plane crank V8 generated an impressive 395 bhp and was capable of propelling the car to 60 miles per hour in about four and a half seconds. In addition, it looks fabulous – showcasing classic Italian craftsmanship. 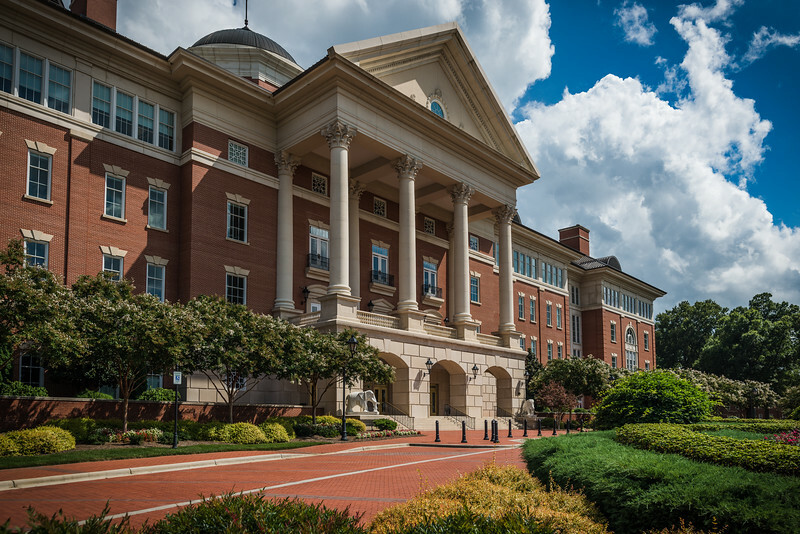 The University of North Carolina at Charlotte is typically referred to by its initials – UNCC. Having lived in Charlotte now for seven years, it's amazing how much this campus has grown in that time. I give much credit to those at the university who have purview over the architectural design of these new buildings. They've done a fantastic job of giving the architects freedom to create some unique structures but the colors and materials match other buildings on the campus like few other universities I've seen. It's a joy to walk through this beautiful area. 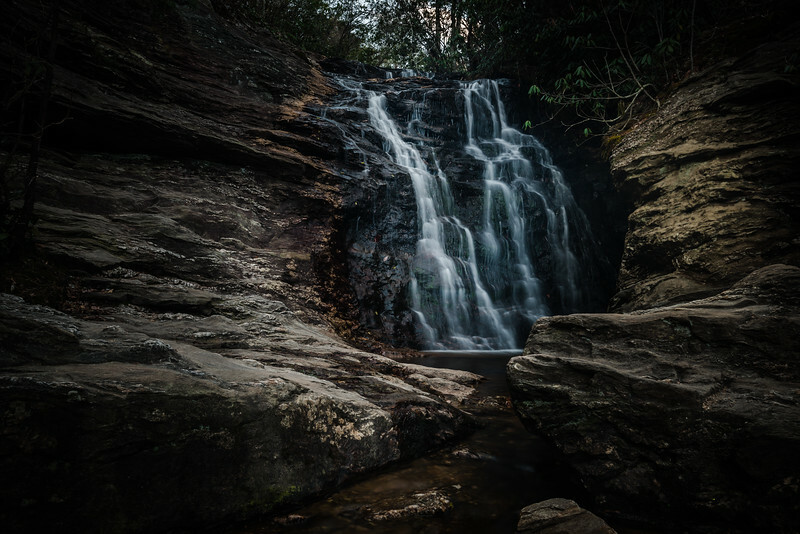 North Carolina has a wide range of waterfalls across the state. I've had the good fortune to visit many of them. They always seem to be much more than simply water flowing over rocks. There's a serene beauty there that is both visual and auditory. 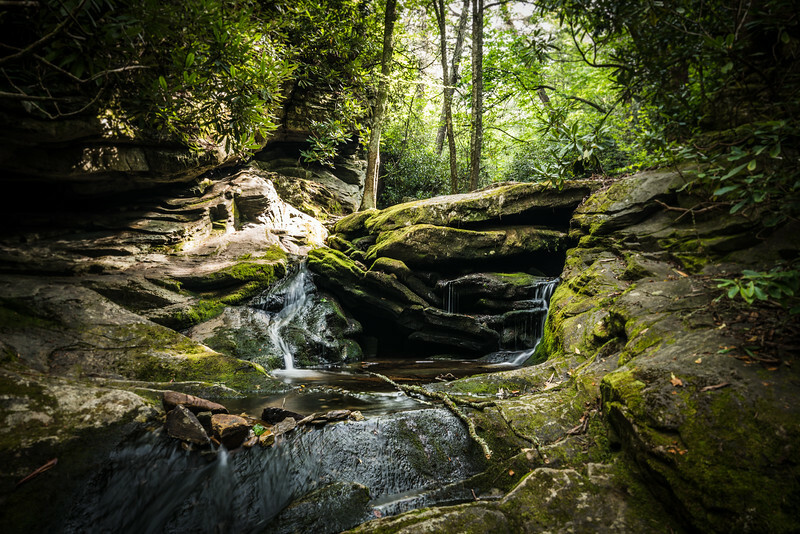 This waterfall is called the "Upper Cascades" and is located in Hanging Rock State Park. Living nearby to one of America's great raceways means its convenient to check out activities at the track. This event was the NASCAR Driving Experience. 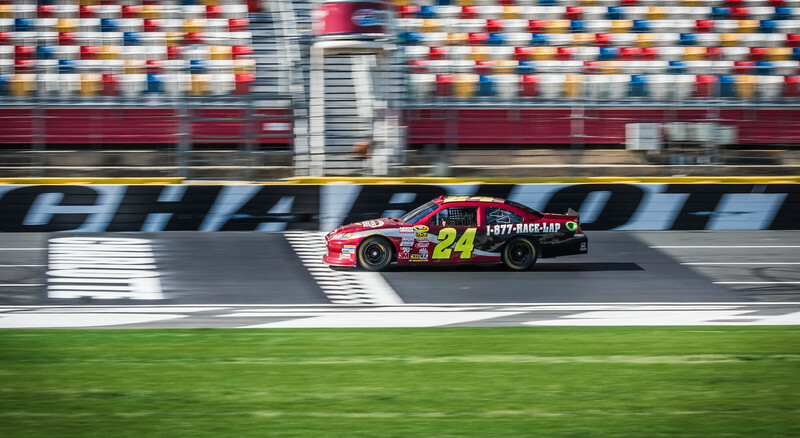 It allows everyday folks the opportunity to try their hands at operating detuned stock cars at speeds exceeding 150 miles per hour on the Charlotte Motor Speedway. While they don't necessarily compare to the finest cathedrals in Europe, I've had the good fortune to visit a few here in the United States that are pretty impressive. 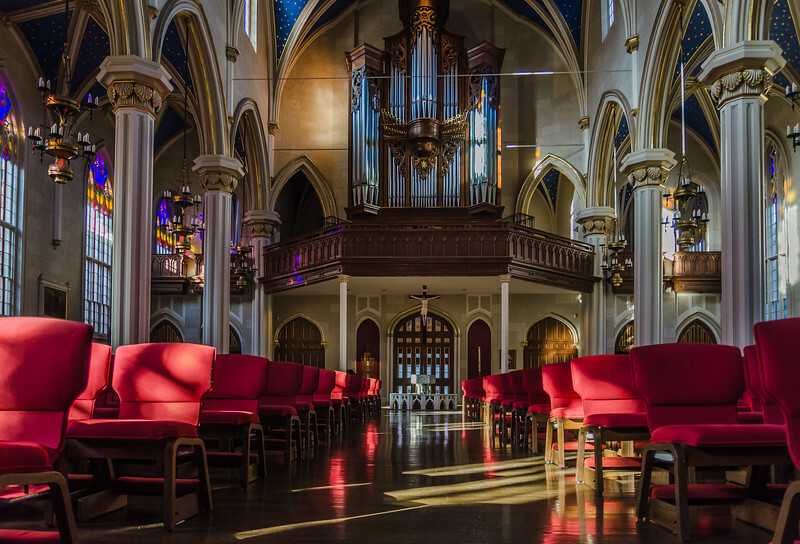 This one is the Cathedral of the Assumption and is located in Louisville, Kentucky. I can't help but marvel at the materials used, coupled with the craftsmanship and attention to detail. Shooting one moving car from another is a difficult process. It requires: three people, two phones, a four-lane road, no traffic, a slow shutter speed, many exposures and some luck. The end result creates a much more dynamic shot than is possible when taking a shot of a parked car. In preparation for Hurricane Matthew, Duke Energy mobilized line crews from across their service territories to get them as close as possible to the areas that forecasters felt would be hardest hit. Doing so enabled them to be on site immediately after the storm passed, to begin restoration efforts. These are the times that linemen shine. They are the unsung heroes – working 16 hour days, often in extreme weather to get the lights back on. 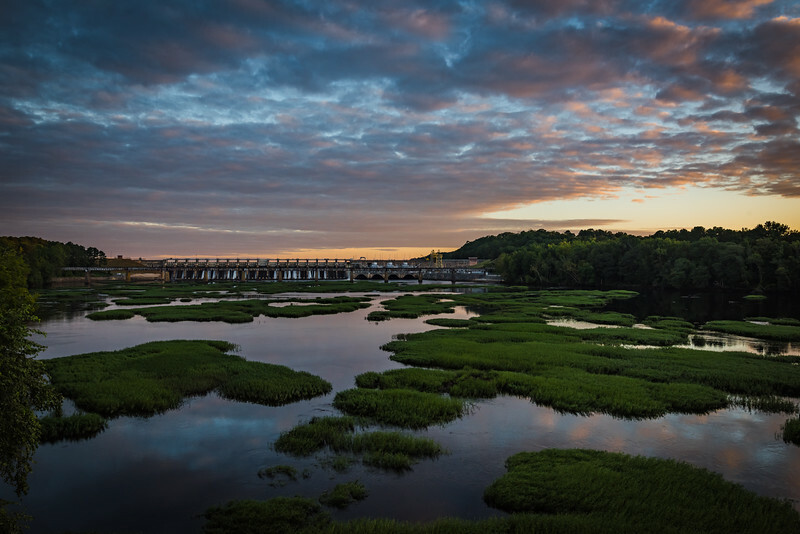 Duke Energy began to electrify the Carolinas using hydroelectric power, more than 100 years ago. These feats of engineering are still standing and producing electricity today. Most people wouldn't think of them as beautiful, but when captured in the right light, almost anything can be. The Cabarrus County Fair in North Carolina represents a continuation of the great tradition of local fairs throughout the United States. 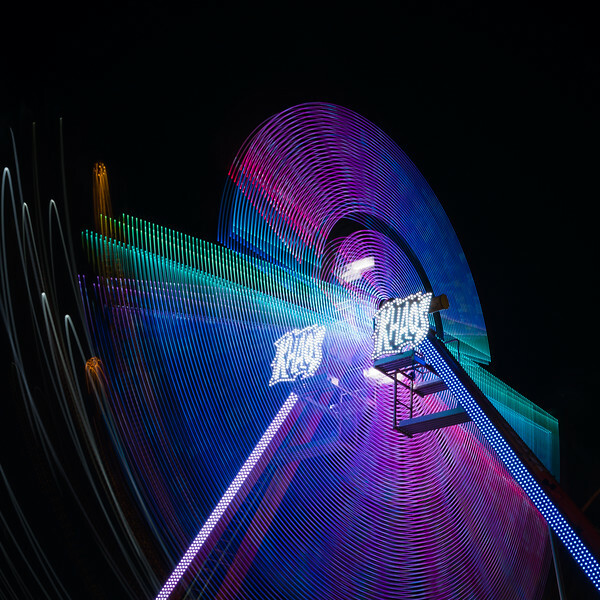 The midway has some fascinating rides, which take on an otherworldly appearance at night. Long exposures capture the beauty in their movement.